Prominent & Leading Manufacturer from Jaipur, we offer rose quartz beads and rose quartz cabochon stone. 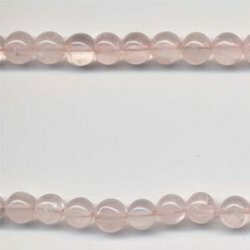 With highly driven technical excellence, we have been able to offer our clients an assortment of Rose Quartz Beads. Our quartz beads are processed by our talented professionals in accordance with predefined industrial norms using latest technology. 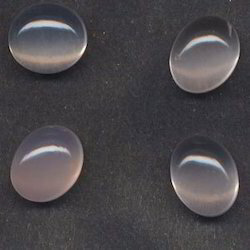 In addition, offered quartz beads are quality tested on several parameters by quality controllers in order to supply a defect free range to customers. We are giving these quartz beads on numerous customized options so as to meet the needs of clients. We are an acclaimed name engaged in offering our precious clients a superior quality range of Rose Quartz Cabochon. Offered quartz cabochon is well checked by our quality experts in order to ensure its quality assured range before delivering. Our quartz cabochon is processed by our team of experts using ultra-modern technology & modern tools in compliance with the set standards of market. This quartz cabochon is widely appreciated for the beauty it imparts to the wearer. Looking for Rose Quartz ?